Learn about the anatomy & morphology of cannabis plants and the science behind how pruning & training techniques like super-cropping, trellising, mainlining, and low-stress training improves yield, yield-efficiency, pest/disease resistance, aesthetics, and overall health of cannabis crops. This is the tenth class out of ten in the Cannabis Horticultural Science Course, a 10-week, 20-hour course that provides overviews of core horticultural science topics as they relate to Cannabis sp. for medicine and adult-use. Designed for all levels of scientific comprehension and suitable for those without a scientific background. It’s an excellent foundational learning course in horticultural science, as well as an effective employee training and credential-building resource. Learn the biology, prevention, monitoring, and mitigation of insect and arachnid pests of Cannabis. An ounce of prevention grows a pound of cure! This is the seventh class out of ten in the Cannabis Horticultural Science Course, a 10-week, 20-hour course that provides overviews of core horticultural science topics as they relate to Cannabis sp. for medicine and adult-use. Designed for all levels of scientific comprehension and suitable for those without a scientific background. It’s an excellent foundational learning course in horticultural science, as well as an effective employee training and credential-building resource. 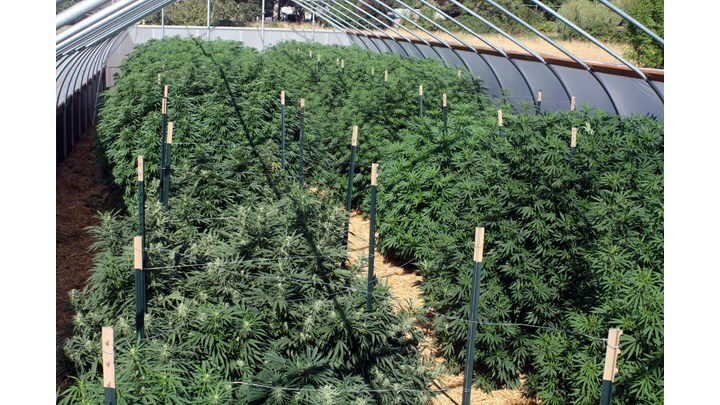 Discussion of the cultural practices, equipment, cost, environmental impact, and science behind indoor, greenhouse, hoophouse, and outdoor cannabis production systems. This is the first class of the Cannabis Horticultural Science Course and is somewhat of an introduction to the core horticultural science topics that will be covered in more detail later in the course - topics such as plant nutrition, soil science, seed biology, Integrated Pest Management, and more. Learn the history, science, and strategies of cannabis plant breeding as well as the science of genetic heredity and intellectual property protections. This is the ninth class out of ten in the Cannabis Horticultural Science Course, a 10-week, 20-hour course that provides overviews of core horticultural science topics as they relate to Cannabis sp. for medicine and adult-use. Designed for all levels of scientific comprehension and suitable for those without a scientific background. It’s an excellent foundational learning course in horticultural science, as well as an effective employee training and credential-building resource. Learn the science and practice of propagating cannabis plants sexually (by seed) and asexually (cloning). Includes discussion of propagation environments and reproduction biology. Learn about the goals & objectives of sustainable agriculture, the environmental impacts of different production practices, and how cannabis farmers can implement sustainable practices & technology to reduce greenhouse gasses, conserve energy, minimize pollution, protect worker rights, and leave plenty of resources for our grandchildren. This is the eighth class out of ten in the Cannabis Horticultural Science Course, a 10-week, 20-hour course that provides overviews of core horticultural science topics as they relate to Cannabis sp. for medicine and adult-use. Designed for all levels of scientific comprehension and suitable for those without a scientific background. It’s an excellent foundational learning course in horticultural science, as well as an effective employee training and credential-building resource. Learn the biology, identification, and mitigation of fungi, bacteria, viruses, and nematodes that parasitize cannabis. An ounce of prevention grows a pound of cure! 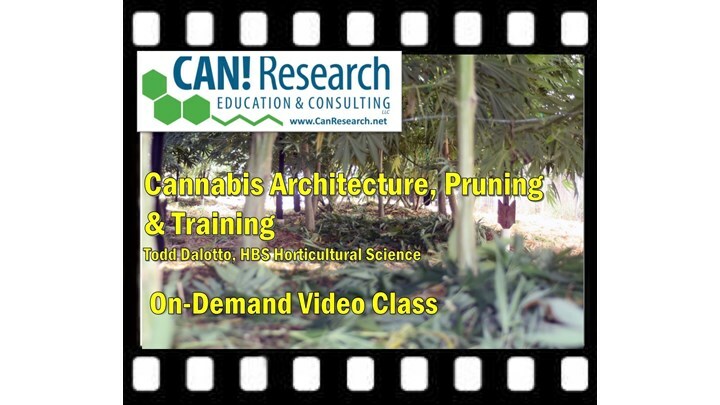 This is the sixth class out of ten in the Cannabis Horticultural Science Course, a 10-week, 20-hour course that provides overviews of core horticultural science topics as they relate to Cannabis sp. for medicine and adult-use. Designed for all levels of scientific comprehension and suitable for those without a scientific background. It’s an excellent foundational learning course in horticultural science, as well as an effective employee training and credential-building resource. An overview of how the chemical, physical, and biological properties of soil contribute to healthy plant growth and a thriving dynamic microbiome. Learn the science of seed development, fertilization, dormancy, germination, and viability. CAN! Education instructor, Todd Dalotto at his breeding & research facility discussing plant-insect-microbe-human mutualisms, breeding strategies, sustainable production, and craft cannabis cultivation. Designed for budtenders, owners, and retail staff to enhance comprehension of the horticultural nature & origins of the flowers and products sold in licensed cannabis retail facilities. An excellent staff training opportunity! See below for 40% business discounts. This two-hour presentation offers what retail professionals need to know about the following topics: Botanical Nomenclature, Production Environments, Phytochemistry, Soil & Growing Media, Plant Nutrition, Plant Pathology, Pest & Pathogen Management, Contaminants, Plant Propagation & Nursery Care, and more. Instructor, Todd Dalotto has an HBS in Horticultural Science from Oregon State University and has been researching, breeding, and teaching cannabis horticultural science in Western Oregon since 1999. Learn the science of growing cannabis from a top horticultural scientist in the world's most renowned cannabis growing region. We offer you a 10% discount code at the end of the video that can be used towards a future on-demand video rental to make-up for a cut-off of fifteen seconds at the end of the lecture. Ten 2-hour lectures provide overviews of core horticultural science topics as they relate to Cannabis sp. for medicine and adult-use. Experienced growers learn the science behind their cultivation practices and improve upon their success. Designed for all levels of scientific comprehension and suitable for those without a scientific background. It’s an excellent foundational learning course in horticultural science, as well as an effective employee training and credential-building resource. An optional final exam will be given after completing all ten classes.